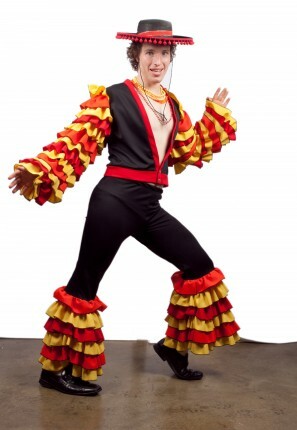 Rhumba Rio man costume for hire. 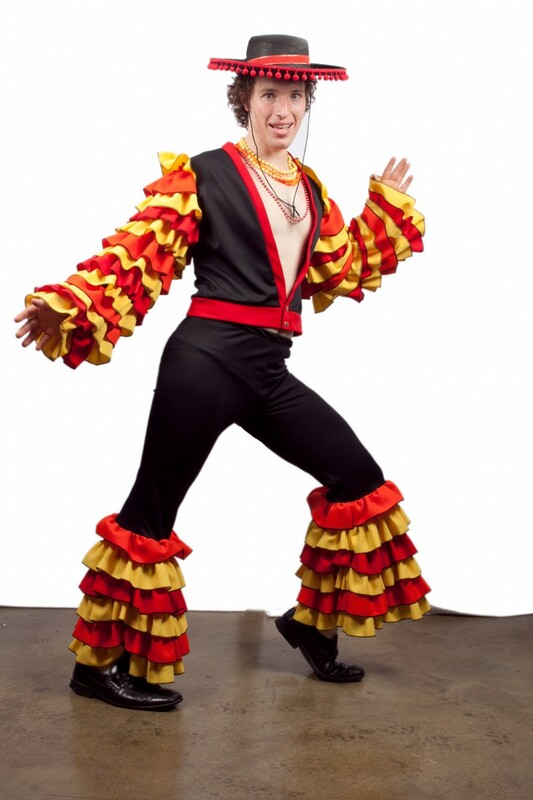 Consists of ruffled bolero jacket and ruffled trousers. Optional fringed hat. Perfect for your Olympic Rio party.